Operating a small business in Wyoming can seem like a lonely proposition. Sometimes you feel like there is nowhere to turn and you are the only one facing the problems of ownership. This struggle is even greater for businesses that are looking to expand their market by selling to the world’s largest customer: the U.S. government. Not knowing where to start or who to talk to can prevent access to this great market opportunity. Networking with other small business owners can be a great resource for idea creation, problem solving and receiving referrals. When you’re looking to do business with the government, networking is even more important. Federal, state and local government agencies are always looking for a large variety of products and services from Wyoming small businesses. Speaking with procurement representatives is a great way to find out if your business can fill any of those needs. If you’re looking to find these unique networking opportunities, the upcoming GRO-Biz Conference & Idea Expo is your best opportunity of the year. Labeled as Wyoming’s premier small business event, the GRO-Biz Conference & Idea Expo will take place February 20 and 21 in Casper. 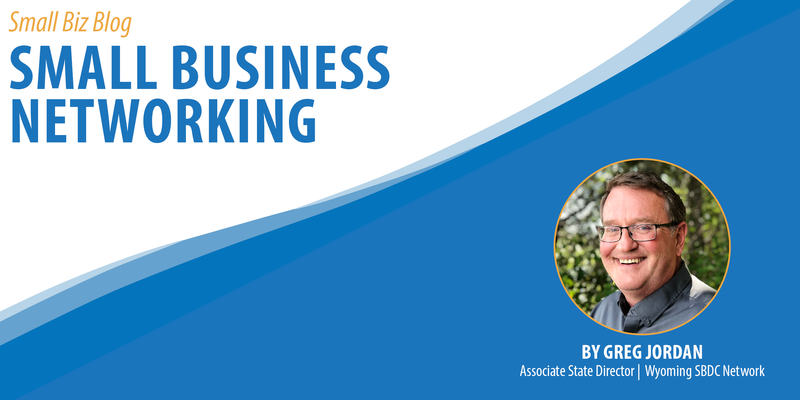 This event features nationally-recognized speakers on a variety of important topics and provides valuable networking opportunities for all Wyoming entrepreneurs as well as those specifically interested in contracting with the government. Greg Jordan serves as the associate state director for the Wyoming Small Business Development Center Network. He holds bachelor’s degree in both business administration and psychology. He has a master’s degree in industrial/organizational psychology. Greg worked for the federal government for fifteen years (including active duty Air Force) and has been with the University of Wyoming for the last thirteen years. He has experience in human resources technology, management, and owned a technology training company. Greg is also certified as a Project Management Professional (PMP) and helps manage the various grants necessary to help the SBDC Network assist small businesses across the state.